On that warm night, I had a dream. I dreamt that I was in my father’s car, on the road toward my junior high school. In front of the road, the sea opposite the high school glittered under the sun. I turned down the car windows. The salty breeze blew across my hair. I closed my eyes and thought that I would see my friends and classmates very soon, very soon. When I opened my eyes again, I was sweating from head to toe in my bed in Australia. • The moment when my teammates from the youth camp and I rowed into a river of darkness lit suddenly by hundreds of thousands of fireflies glowing in the bushes along the river. • The moment when I looked up at the starry night on a mountain, where the black velvet sky seemed to be so low that the innumerable twinkling stars appeared to be within reach. • The moment when my church friends and I pretended to be the beautiful white little angels and sung the “Silent Night” from door to door on Christmas’ eve. • The moment when I played the firecrackers and mahjong, and ate the sweets and the cakes with my cousins during the Chinese New Year. But I was not in Malaysia anymore. A bitter sweet nostalgia rushed through my chest and I could hardly breathe. I bit my lips so hard that it subsided. Then I went back to sleep. Since then, I have become attracted to the exilic literature in the Hebrew Bible. Well, enough of the melancholic reminiscences of my childhood! The next instalment of stories about my life in Australia will be happier, more cheerful and upbeat. But, we will have to wait for these stories until mid-semester. See you and stay tuned! In comparison with the Malay high school students, a major disadvantage for the Chinese high school students is the non-recognition of their high school certificates by the Malaysian government. As a result, all of the students need to take additional government examinations –Sijil Pelajaran Malaysia (SPM) and Sijil Tinggi Pelajaran Malaysia (STPM) – to be considered into a public university in Malaysia. Even then, as said, it is not a guarantee for them to get a position in the university. Moreover, the Chinese high schools in Malaysia are private institutions not funded by the government, so the parents have to pay a high amount of tuition fees for their children (I managed to get some subsidizations from the school during my second and third years of study, since my family met the low-income requirement). Still, every year, tens of thousands of students swarm to get a place in different Chinese high schools in their regions. Foon Yew High School in Johor Bahru is one of these popular high schools. According to what I have heard, the teaching quality is so good in Foon Yew that some overseas universities in Australia, Singapore, China mainland and Taiwan are willing to recognize the graduation certificates of this high school. Due to the limited resources and the high demand, this private high school, as with all other Chinese high schools, requires the applicants to sit for an entrance examination, which is different from the public primary school examinations (UPSR). Out of the thousands of students who have registered for this entrance exam, only about a thousand are accepted each year. In 2000, I took the entrance examination of Foon Yew High School and managed to squeeze myself into the top 100. In that year, we had twenty-five classes with about fifty students in each class. Six of these classes are the so-called “A-classes.” I was assigned to one of these “A-classes.” Soon, I realized that this was a deeply meritocratic society, where we, like the young and hot-headed warriors unleashed onto an academic battlefield, fought and strived to excel in every subject, in every extra-curriculum activity, and in every competition, just so we could earn enough credits to survive in a new community. We wanted not only to survive at the basement of the ivory tower, but also to climb up to the top of the tower so that we could perhaps get a clearer view of our then fuzzy future. At the end of that year, I came first in my class. In 2001, on the basis of academic merits, fifty students were picked out by the school to form another A-1 class. I was assigned to this A-1 class. In this year, I began to taste the bitterness of failure. In the first semester, I received my first (and only) failed result in Mathematics. In one assignment of the Chinese lesson, I wrote a commentary on a news report that made a comparison between Sun Yat-sen (the first president and the founding father of the Republic of China) and a Chinese female pop-star. Right now, I remember neither her name nor the content of my commentary. Anyway, my commentary had a disastrous consequence. The Chinese teacher was infuriated that such a comparison could actually be made, and he was even more angry that one of his students cared to write a commentary on that article. He vented one of his most lethal criticisms on my assignment in front of the whole class for the whole lesson (45 minutes), but luckily he did not mention my name. While he was fulminating against the ignorance of my commentary, I just kept staring at my watch, praying that he would not mention my name all of a sudden, and hoping that there was a hole in the ground at that moment so I could just sneak in and hide. Anyway, at the end of the year, I learned from all these failures and mistakes, and managed to remain in the top ten of my class. In 2002, we, as the third year high school students, had to enter not only one internal test but also two external examinations. The first external examination (UEC-JML) was organized by the United Chinese School Committees’ Association of Malaysia (UCSCAM). Except for the compulsory English and Malay subjects, all other subjects were tested in Chinese. The second external examination was the Malaysian public examination (PMR) organized by the Ministry of Education. Except for the compulsory English subject, all other subjects were tested in Malay. To prepare for two different sets of external examinations in two totally different languages meant a lot of pressure for me. To be honest with you, I was not familiar with the Malay language, and right now I forget almost all my knowledge of Malay. Also, in comparison with the other genius classmates who could be more argumentative, more passionate and more specialized in their favourite subjects, I was more like a “Jack of all trades”. Still, at the end of my third year, with a lot of luck, a lot of help, and a lot of persistence, I came first in the A-1 class, I received straight As in UEC-JML and to my surprise, I also got straight As in PMR. This third year tested my resolve. In preparation for UEC-JML, we were required to memorize all our textbooks learned from Junior Year 1 to Junior Year 3. These include 6 Mathematics textbooks, 6 Biology textbooks, 6 Physics textbooks, 6 Chemistry textbooks, 6 History textbooks, 6 Geography textbooks, all of which added up to 30. Wait! There were also the compulsory language courses, including Chinese, English and Malay. For each language course, we had 6 textbooks and a set of classical literature. We had to memorize all these books word for word, since some examiners were sneaky enough to take a footnote from the textbooks into an exam paper and asked the students to fill in the blanks. Having barred myself completely from watching any TV programme for one whole year, having taken a shower within 10 minutes every day, having woken up at 5am and gone to bed at around 12 or 1 am every day, having talked with my family for no more than 10 sentences every day, having timed the consumption of each meal so as to finish it in less than 15 minutes every day, I managed to memorize all the texts books. Word for word. Line for line. This third year also shaped my future interests. At that time, my class happened to have a very passionate history teacher, who kept telling us many interesting stories from the contemporary world news that were not written in the textbooks (Honestly, I was so sick of memorizing all the textbooks at that time that I hatched a plan to burn all my books after the exams – but then I could not resist the temptation of money and so I ended up selling or giving them away afterwards). Then she would link all these stories back to what had been written in our history textbooks. At that time, I did not understand why we had to learn about the colonization and decolonization of Malaysia, the dynasties in China, the feudalism in Japan, the monarchy of Great Britain, the revolution in France, the renaissance in Italy, the independence of the United States of America, the First and Second World Wars. But, for the first time, I really enjoyed going to a class and was enchanted by a wider world outside my classroom painted by my teacher. She was really knowledgeable and could talk non-stop in high spirits about the history of all these countries. In hindsight, I have to admit that she did not hold very favourable views about the Western countries, but somehow I learned a lot from her lectures. Anyway, because of my results, I finally won a scholarship, so that I would receive an exemption from tuition fees in the following year. Despite that, the exemption could be put to no use. In 2002, my father received a job offer in Australia. And at the end of that year, my whole family quickly followed him and moved there. In November 2002, shortly after I had finished all my third year examinations, I went alone to the administration office to arrange for an exmatriculation. My junior high school had a very complete system of dismissal, where the applicants of the dismissal/exmatriculation were usually those who got into serious troubles, those suffered from poor academic performances, and probably those who just did not want to study anymore. “I am here for an exmatriculation,” I told the secretary quietly. I did not know that secretary, but from her annoyed look, I could guess what she was thinking. “Another kid’s in trouble. Why can’t they all behave properly? All these kids should really be dismissed and expelled from the school to save us the troubles!” She might have thought. At that age, little did I care about my physical appearances – my hair looked a bit messy, my face a bit too oily, my shoelaces were not tied properly, my clothes were a bit oversized, etc. She looked at me despicably and demanded coarsely: “Hand me your school report card!” Having looked at the results, she suddenly spoke to me in a wackily sweet and gentle tone. All of a sudden, she became so polite. I was slightly taken aback by her change of attitude, even though this was not the first time I had met people who could change their attitude in just an instant. It will not be the last either. I was confused. Then my mind became clearer. Indeed, this was an “epochal” event climaxed by “a let-there-be-light moment”, in which my young and naive mind began to grasp that our rather fragile human dignity seemed to depend on many little pieces of paper, whether they were certificates, credentials, credit cards, contracts or cash. Partial view of my UEC-JML. I cannot show the whole of it, since it contains some sensitized information (e.g. my previous national id number), which I prefer not to disclose in a public space. I cherish this result card very much, as getting it has taught me a lot about gain and loss in life. http://www.foonyew.edu.my/ (This is the official website of Foon Yew High School, in Chinese Mandarin. The history of the school can be traced back to 1913). 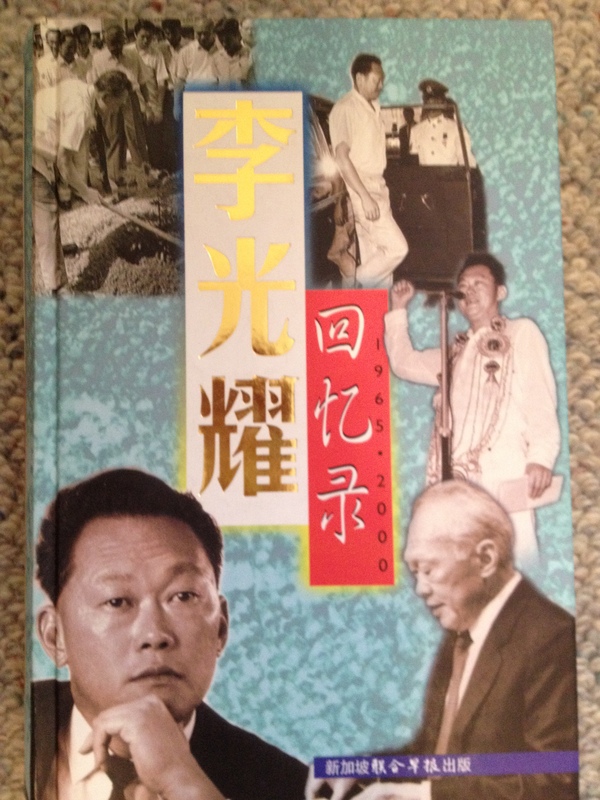 The early history of other Chinese private high schools in Malaysia and Singapore can be glimpsed from the memoirs of Lee Kuan Yew (Singapore’s founding father). Despite being an English educated man, he sent all his kids to the Chinese (high) schools. At the moment, I have access only to the Chinese versions (they are copies belonging to my dad). 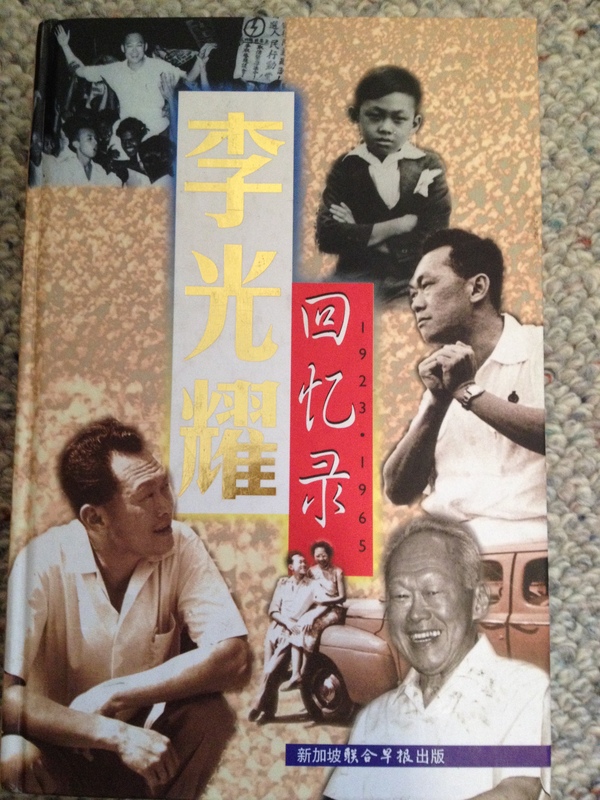 But you can also find the English versions of the memoirs, which are entitled: The Singapore Story: Memoirs of Lee Kuan Yew (recording his history from 1923-1965, published in 1998) and From Third World to First: The Singapore Story: 1965-2000 (published in 2000). Then the time came for me to enter a high school. 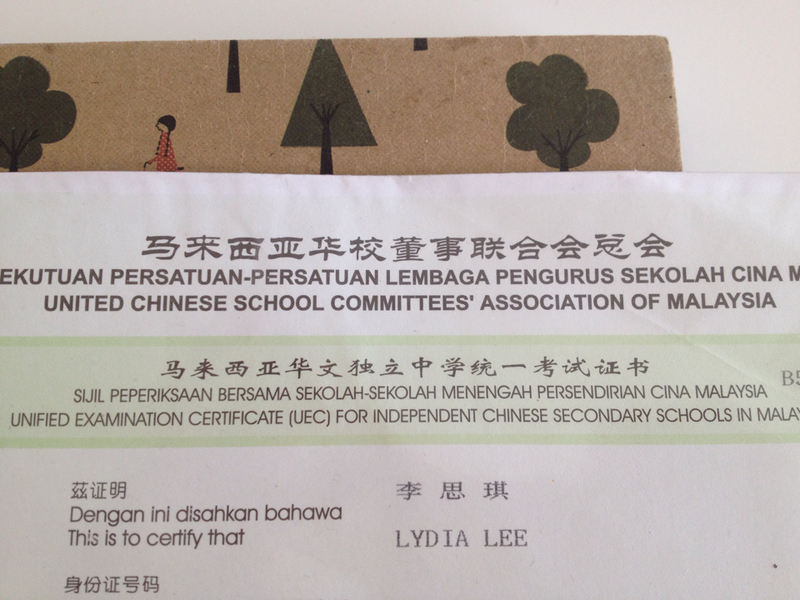 I had to make a decision whether to go into a Malay high school or a Chinese high school. If I were an Indian, I could also consider going into a Tamil high school. This was a major decision, since it would determine if I could go into a university, and it would also affect the type of university I could enter later on. For all these reasons, I was determined to get myself into a university. And for this, I had to go through my secondary education. The question was: Should I enter a Malay or a Chinese high school? If it is a Malay high school, Malay will be the sole instructional language, except in the language courses like English or Chinese. The parents will not need to worry about the school fees, because it will be funded by the state. And theoretically the students will only need to pass through some high school exams, then they can get into a public university in Malaysia. Therefore, a lot of Chinese students choose to get into a Malay school, speaking only Malay or English, trying very hard to integrate and to assimilate into the culture fostered by the government. I really want to understand the reason behind this kind of treatment reserved for the non-Malays. As the history books tell us, in the 19th century CE, when some colonists set foot on the land to gain economic benefits, they needed labour force, so the Chinese and the Indians were brought in. By the time of 1957, Malaya consisted of just under 50 per cent Malays (3,126,706), about 37 per cent Chinese (2,332,936), 12 per cent Indians (695,985) and about 0.2 per cent “Others” (123,136). There were serious economic and educational inequalities among different ethnic groups. Employment opportunities were closely linked to educational levels. Back then, the educational opportunities were concentrated in the hands of the non-Malays, who often congregated at the urban centres, where teaching facilities were better equipped. The Malays often lived in the rural regions, where the quality of education was low. Even after the Independence in 1967, nearly three-fourths of the university enrolment consisted of Chinese students while the Malays only made up one-fourth. Reasonably, the Malaysian government was eager to address the inequality, and it was a problem that should not have happened in any country. Probably in light of this, when the Malays and the non-Malays fought for their independence in 1957, the non-Malays were willing to make a concession to enshrine the “Special Position of the Malays” in Article 153 of the Constitution. This was supposed to give the Malays a head start who were economically, socially and educationally disadvantaged. I do think that the people with a firmer income and standing do have the responsibility to help the less advantaged people. To a certain extent, I can empathize with some of the rural people, because both of my parents were from the rural areas in Malaysia. My late grandparents on my father side were hard-working labourers in one rubber plantation. They were once very poor, so that they could only afford one son to go into a secondary school. My great uncle was so generous that he was willing to give that education opportunity away to my father. As a result, being the second out of the eight sons, my father went on to study in a high school and subsequently in a university in Malaysia, and later in a theological seminary in Singapore. My mother was also from a village where the inhabitants were mainly pig farmers. A gambler, who happened to be the biological mother of my mum, sold my mum to a Christian when she was still a baby (Yes, I just wrote “sold.” If I were my mum, I’d never forgive the person who traded her baby for money. But my mum insisted on forgiveness, and took the initiative to visit that gambler, who happened to live in the same village. She even tried to share her faith with her. I still don’t know how she was able to do that, but I admire her for that). My mum later met and fell in love with my father in the same theological seminary in Singapore. Every year, during the holidays, my family visited our grandparents and other relatives in the countryside and I loved the complacent calm of these places, and I loved having fun with my cousins. The people there seemed more down-to-earth, more straightforward and less materialistic. But sometimes, having listened to the stories about the schooling conditions in these areas, I did think that my life would have followed a very different path if I had not gained access to the educational resources in the city areas. What I want to say is that there has been an uneven distribution of educational resources that should ideally not happen at all. Anyway, why should education be reserved only to those who are born rich and powerful, or those who have greater access to the urban facilities? But why should then Article 153 that affirms the special position of the Malays be used to restrict the education of the Chinese and the Indians? Why should the benefits for one gained at the expense of another group? Why are they banned to pursue the education of their choices after their high school studies? And so I heard about some of my brother’s childhood friends who had to take another more difficult exam to get into a public university, while the bumiputera could follow an easier path to the university. Even after this extra exam, the non-bumiputera could not be guaranteed a place in the public university, since there was still a quota system that had to be dealt with. And so I heard about the non-Malay friends who were forced to spend an obscene amount of money to get expensive education overseas or in private education centres. Despite the adverse conditions, there are still some non-Malays working together with some kind-hearted Malays, who are willing to stay in this part of the world, because they firmly believe that they can still make an effort to change their birth country. Hat tip to these people. If you are interested in the pathway to a Malaysian public university, you can check out the link here. This website is set up by a group of Malaysian students. It does not seem to be politically oriented, so it does not discuss the right or wrong of the quota system (except for the anonymous comments at the bottom of the website). I just find it terrifying that the quota system seems to be treated as a norm in Malaysia. This article here discusses the quota system in relation to Article 153 of the Constitution. It is written by one member of a non-profit opposition group in Malaysia. This article here is about a strange resignation of a professor recently. You see, not all Malays are discrimating the non-Malays. This blog article here looks really kind and friendly. All the above cited statistics are taken from Cheah Boon Kheng, Malaysia: The Making of a Nation, Singapore: Institute of Southeast Asian Studies 2002, 79, 86. Malaysia is the country where I was born. Subsequently, I stayed in this land for fourteen years. As the opening line of its national anthem states: Negaraku, tanah tumpahnya darahku, the soil of this land was supposed to absorb the very last drop of my blood. It is a unique country, since its birth is marked by a multi-ethnic society, consisting of the Malays, the Chinese, the Indians and other indigenous peoples. Three major ethnic groups, with their different political parties (UMNO=the United Malays National Organization, MCA= the Malayan Chinese Association, MIC=the Malayan Indian Congress), formed the Alliance Government. They negotiated for and finally won their independence from the British colonists on 31.08.1957 (Here, we are referring to the Federation of Malaya, when Sabah and Sarawak were not yet part of this Federation). Therefore, all of these groups should learn to respect, understand and love the culture of each other. Well, the above was what my history teachers always told me when I was in the primary school. During that time, I didn’t feel the Chinese to be different from the Malays, from the Indians or from any other peoples. Maybe we look a bit differently, maybe we speak a bit differently, so what?! I just felt so blessed to have been born in this multicultural country. When the Malays celebrate Hari Raya Puasa (a day of celebration that marks the end of the fasting month), it means public holidays. 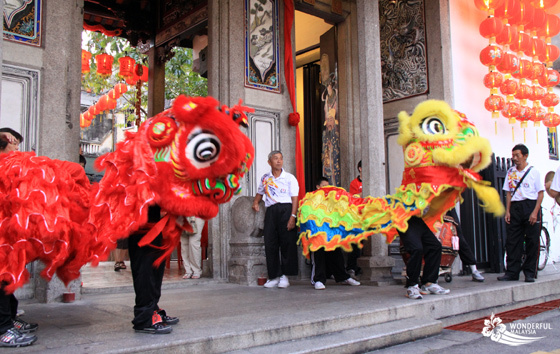 When the Chinese celebrate the Chinese New Year, it means public holidays. When the Indians celebrate their Deepavali (the festival of light), it means public holidays.